When working with BizTalk Pipeline components, it’s a common requirement to work with context property values. 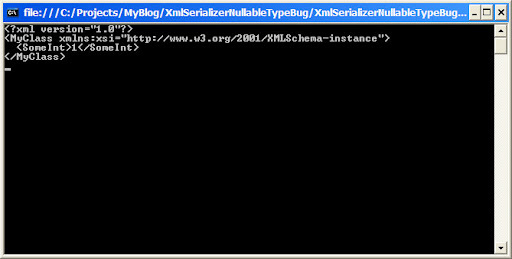 The context property key is actually XML element defined in the Property Schema, and is a combination of the name and namespace of the XML element. The class has Type property that is the CLR object type of the context property value. 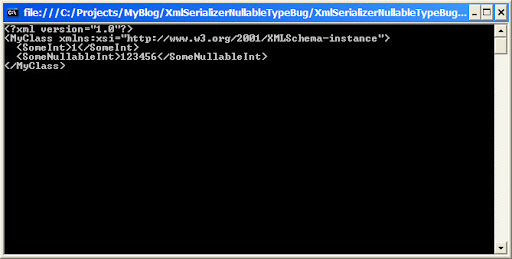 System.Xml.XmlQualifiedName object (that have some useful method itself) include the name and namespace values. Add the context-properties (ex. ServiceName). So, go ahead and start using your own GlobalPropertySchemas.dll in the very same way that BizTalk artifacts are using property schema elements from inside code. When developing SOA/ESB solutions, you should NOT use the same Host instance for more then one service. the reason is because all messages will be writen into the same table (queue), so if one service is consumed intensively, the other services will experience latency. An important and little known issue is the limit number of host instances that can be defined on a single machine. Every host instance in BizTalk is implemented as a Window NT Service with the prefix 'BizTalk Service BizTalk Group : 'HostName'. Windows can host unlimited number of services running under LocalSystem, but By Default, has a limit number of services running under User Account (from my experience with Windows 2003 Server it's between 23 to 25, based on the service memory usage). 1053 The service failed to start due to the following error: The service did not respond to the start or control request in a timely fashion. The only solution is to decrease the memory for each desktop on the computer. The third value (512) is the desktop heap for each desktop that is associated with a "noninteractive" window station. this value can be decreased down to 128. More information can be found on http://support.microsoft.com/kb/184802/en-us (cause 2). Please DON’T do this on production environment before a VERY CARFUL test – this key can affected and harm the system very badly. So please check if it suitable for your system before running and applying it. Introduction to BizTalk solutions architectures. Almost all IT professionals are familiar with the benefits Service Oriented Architecture (‘SOA’) approach is offering, therefore the term ‘ESB’ is not a buzz word any more. As a BizTalk developer the architecture you often use is known as ‘Hub-And-Spoke’. This means we’re using BizTalk as a middleware application (known as a ‘Broker’) between of all other applications. When app A needs to interact with app B, it will submit the request to the broker application. The broker then will make the preparations needed to redirect the request to app B (one example is transformation) and then route the message into app B and vice versa. Integration with rang of protocols and technologies. As a rule of thumb, ESB is the gate into the ‘SOA’ world. It means you don’t develop ‘Application’ anymore; from now on it is about ‘Services’. If you’re new with ‘SOA’ you can learn about it here. Also, you can find an overview of BizTalk Server based 'ESB' here. Now, because of BizTalk ‘Hub-And-Spoke’ nature, developing ESB solution based on BizTalk Server require massive development of infrastructures, The ESB guidance is Microsoft way of achieving it in the fastest way by integrating and relaying on common Microsoft technologies. Microsoft finally released the toolkit for developing ESB solutions based on BizTalk Server. if you're a BizTalk developer and 'ESB' is your second name [the first one is probably 'SOA' :-) ] this set of powerful tools was designed exactly for you. It can make your life match more happier and save you a lot of coding time. In the next few posts I'll give you a deep dive into this new exciting tools and framework.